Fears of a global economic slowdown saw the Dow Jones Industrial Average post five losing sessions in a row during early March, which is a reminder to investors that the volatility that racked the markets in the fourth quarter of 2018 could return at any time. In 2019, investors are looking to play more defense against volatility, but at the same time, don’t want to do so at the expense of higher costs. Of course, with a plethora of options available, especially in the exchange-traded fund (ETF) space, where are the opportunities given the current market landscape? Can an investor really build a defensive portfolio at a low premium? 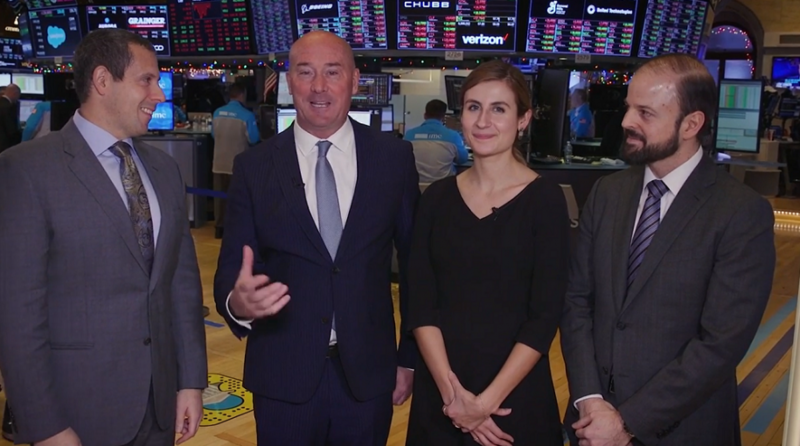 In the latest “In The Know” update, Samantha Azzarello, Global Market Strategist at JP Morgan ETFs, Douglas Yones, Head of Exchange Traded Products at the New York Stock Exchange, and Josh Rogers, Beta Specialist at JP Morgan Asset Management, help investors build a defensive and cost-effective portfolio. A strategic allocation into more defensive-minded alternatives could have investors looking overseas for opportunities. The home team bias is apparent, but while it’s tempting to simply allocate capital into the domestic bond markets, investors shouldn’t ignore the international credit markets, especially with countries like China. Countries like China are becoming less stringent with respect to foreigners accessing their once hard-to-penetrate markets. This is evidenced by increased access to its biggest and best equities via its A-shares, but it’s also opening up more pathways to its bond markets. Certain areas overseas may be earlier in their market cycles compared to the U.S. so issues like rate risk are not yet a concern. Furthermore, bond markets overseas could provide more competitive yields in comparison to those of the U.S. where credit risk in a late market cycle could pose a concern. “U.S. fixed income markets did everything they needed to do as an investor and that’s just no longer the case,” Azzarello added. “ECB, Bank of Japan—no one is raising rates any time soon around the world so there’s still opportunities there. Then even credit within other parts of the globe look good as well. Despite the Fed taking on a more dovish tone as it preaches more patience with respect to interest rate policy in 2019, investors are still opting for more exposure to fixed income. Investors jumping into fixed income for the first time must be aware of the nuances before entering into this unique space. 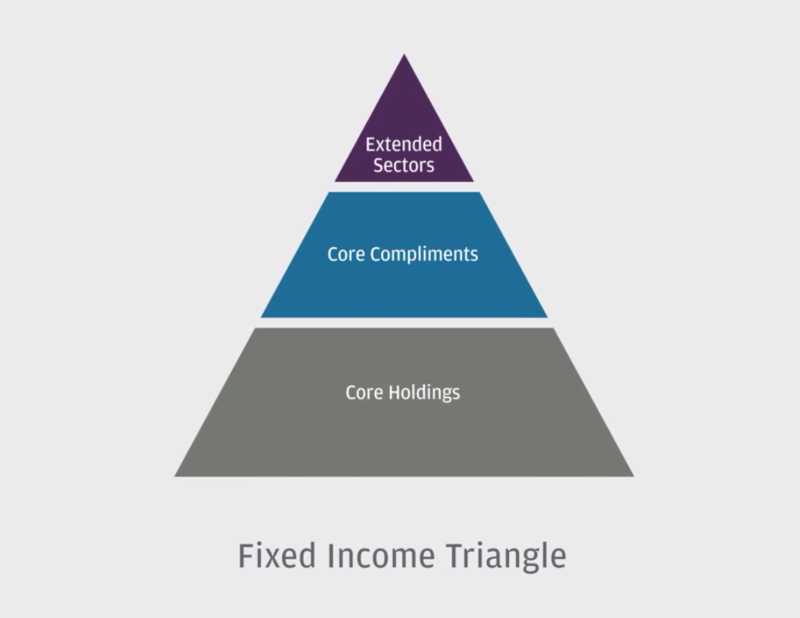 When it comes to building a fixed income portfolio, a good place to start is the “Fixed Income Triangle,” which provides an exemplary framework investors should follow in order to extract maximum benefit. While investors are flocking to safe haven assets like bonds, there’s still a need for products that capture the upside potential in U.S. equities. At the same time, however, there’s also a need for strategies that offer downside protection built into the product. One of those strategies is a reemphasis on value–once again, at a low cost. During the most volatile moments of the market near the end of 2018, investors were quick to react to news–trade wars, inverted yield curves, government shutdowns, and fears of a global economic slowdown. It’s the type of noise that deafens investors to pragmatism and disconnects them from the fundamentals of an asset. No longer fueled by the adrenalin-rushing returns of growth and momentum, investors had to reacquaint themselves with value thus far in 2019. For fixed income opportunities, investors can look at actively-managed funds like JP Morgan Ultra-Short Income ETF (BATS: JPST), which can serve as a flexible tool during times when rates are decreasing or rising. Another option is fixed-income funds that use factor-based methodologies like those inherent in the JP Morgan US Aggregate Bond ETF (NYSEArca: JAGG). For equities, value can be had in the JP Morgan US Quality Factor ETF (NYSEArca: JQUA), which tracks the performance of the JP Morgan US Quality Factor Index. For an overall value play, Rogers recommends investors look at the JP Morgan US Value Factor ETF (NYSEArca: JVAL), which tracks the JP Morgan US Value Factor Index. To watch the entire latest “In the Know” show, click here.